Arsenal Solves Midfield Problems ! 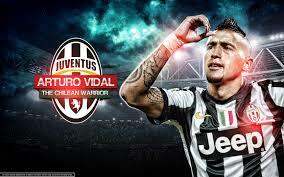 Arturo Vidal to the Gunners fills the enormous hole at the midfield position for only 25 million dollars in euros. Good move with rumors of Aaron Ramsey possibly on his way out to Barcelona. If Ramsey and Vidal are both on Arsenal together they can be an excellent duo in the Premier League. The deal Vidal signed is a 4 year deal with Arsenal according to Calcio Mercato Web. Vidal the latest Gunner to join team ! Previous Post Dallas Keuchel For Cy Young Award? Next Post What Team Would Need Adrian Peterson The Most ?